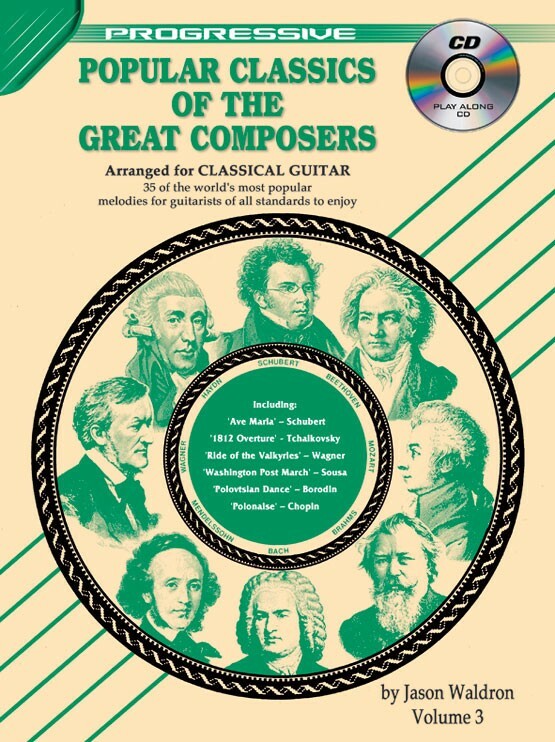 Contains 35 of the world's most popular melodies by the greatest classical composers of all time, arranged brilliantly for classical guitar. They include well known masterpieces by Schubert and Tchaikovsky etc. giving students and teachers alike an excellent performance repertoire ranging from very easy to intermediate level. Includes the pieces 'Ave Maria', '1812 Overture' and 'Polovtsian Dance'. 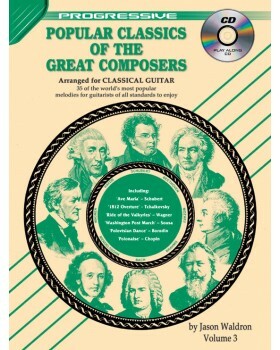 I learnt to play the classical guitar from books. After learning the basics, the thirst for playing more classical music intensified. Then I came across Mr. Waldron's books. His transcriptions and audio recordings were just the right combination for me. The audio was not just a reference source but also a pleasurable listening experience. All the pieces included are some of the best music I have heard. I would give it 2 more stars for the sheer simplicity of arrangement.